King Richard III College is an independent, non-denominational day school which provides a complete education for children from Reception to Year 13. The school follows The English National Curriculum from Reception through IGCSE to A Levels, and is an Examination Centre for the University of Cambridge. A broad and well-balanced curriculum is provided, and the school is regularly inspected by both British and Spanish (Ministry of Education) inspectors. 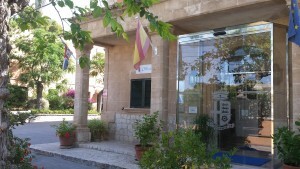 In addition to full authorisation from the National Association of British Schools in Spain (NABSS), the school is also authorised by the Spanish education authorities to offer a parallel Spanish programme for native and advanced students of the language, leading to university entrance. Strong emphasis is placed on high academic achievement, and pupils thrive in an atmosphere where kindness and mutual respect are encouraged. Formal school uniform is worn by all pupils. Facilities include two well-equipped science laboratories, a large Information and Communication Technology Department equipped with 24 networked computers, a Specialist Art and Graphic Design Centre, including Photography Dark Room, a modern and spacious Library, Music and Drama Department, Dining Hall and Sports Court. Applicants for admission must attend a personal interview and assessment and provide complete school reports and references.